I love making signs and have made more than a few. 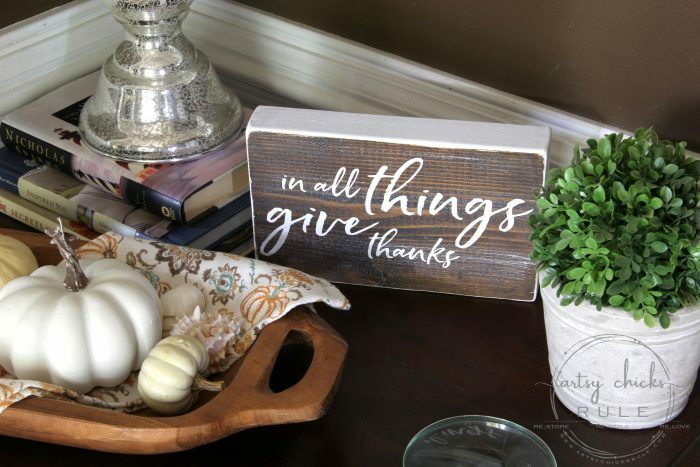 I especially love using old scraps of wood to create something new and fun like this “in all things give thanks” sign I made recently. Perfect for the upcoming holidays or any time. 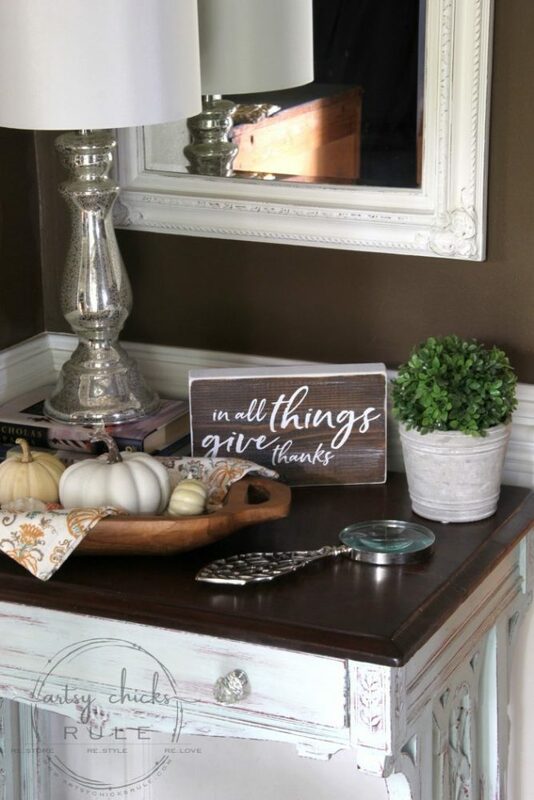 Today, I’m sharing a little “In All Things Give Thanks Sign” I made last night out of a scrap piece of wood. 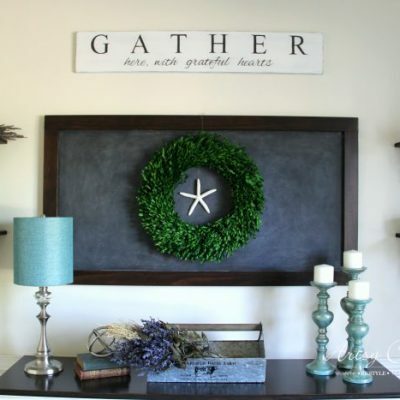 But why not use that leftover wood to make something pretty or even useful? 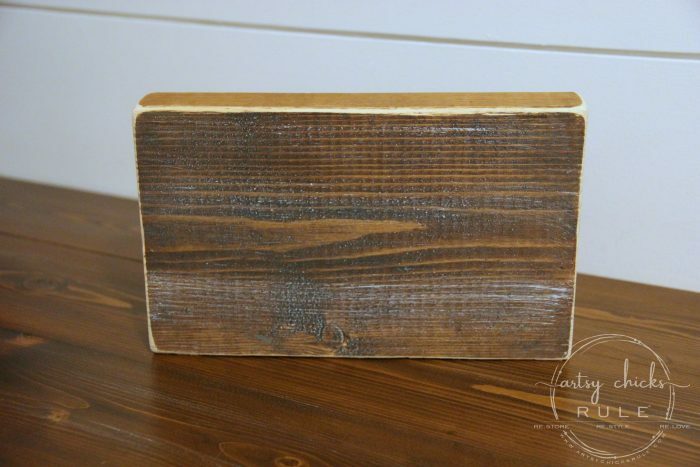 This particular piece of wood here…..
….was a leftover scrap from making the very wood countertop it sits upon. I was testing stains and such. 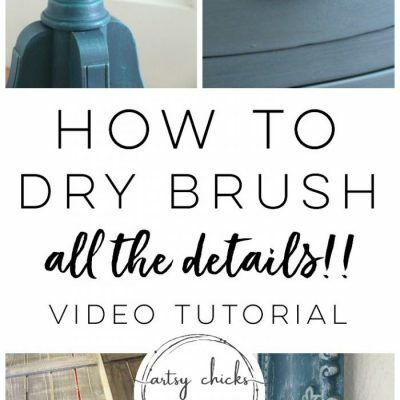 Want to see that DIY? 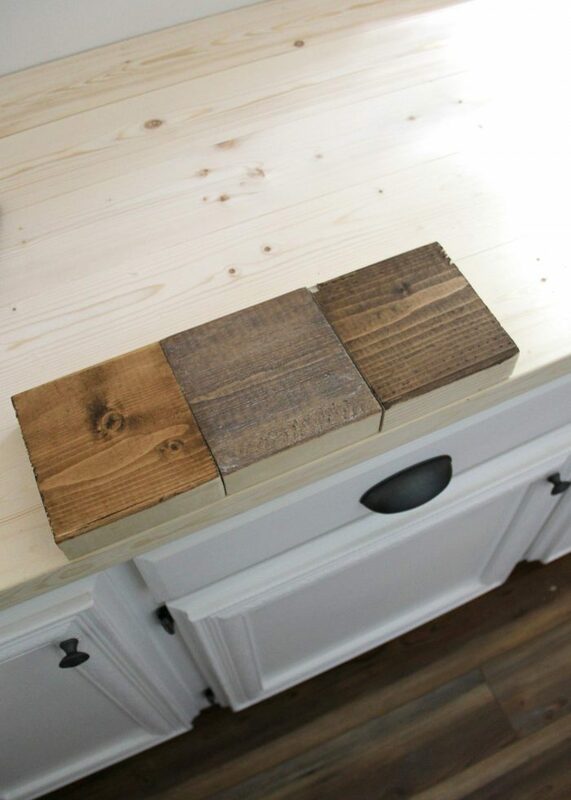 Check out this post here, “DIY Wood Countertops“. As you see in the photo I shared above, it’s how it was sitting in the garage “scrap pile”, stain and all. 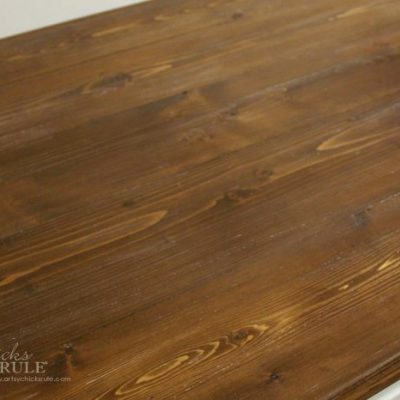 You can see I had even done a bit of the white dry brushing like I did on my finished counter top. Here are a few other ones from that day…. So as you can see, it was basically ready to go! All I did was sand the edges a bit (they were rough) and paint the ends all in one thin coat of white paint. A little dry brushing and … done! 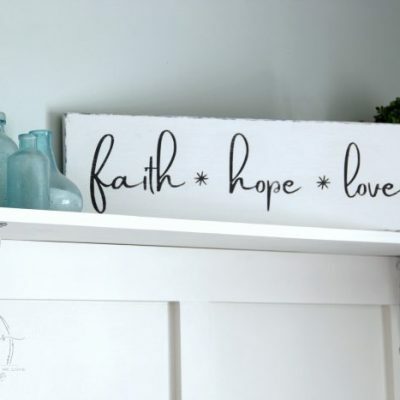 I like that the wood is thick because I can use it in more ways besides hanging it on a wall or leaning it against something like a typical sign. It stands right on it’s own. I created this graphic that you can download below. 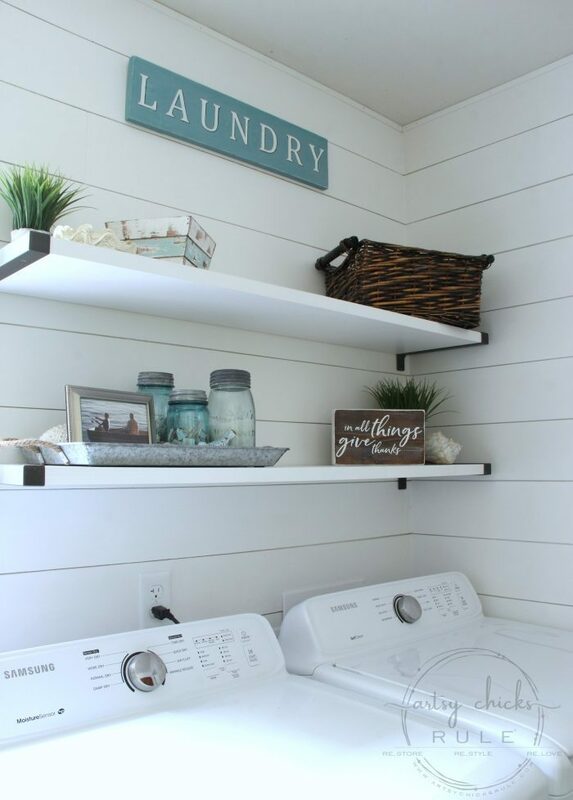 I played around with it in a few spots, like my recently transformed coastal farmhouse laundry room. I kinda love it here. And think after Thanksgiving, this might be where it will stay always. I love that little reminder. I also tried it up on my shelf in the family room. That’s where I had that super cool antique blue truck print for my fall home tour, remember? 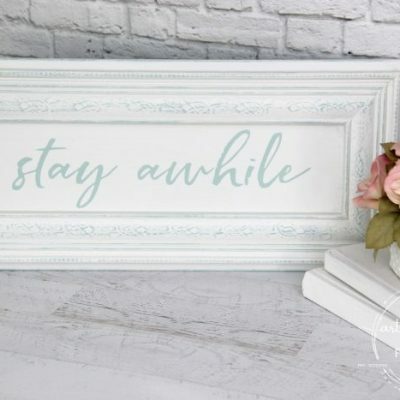 ….so it can welcome guests with it’s thoughtful words. 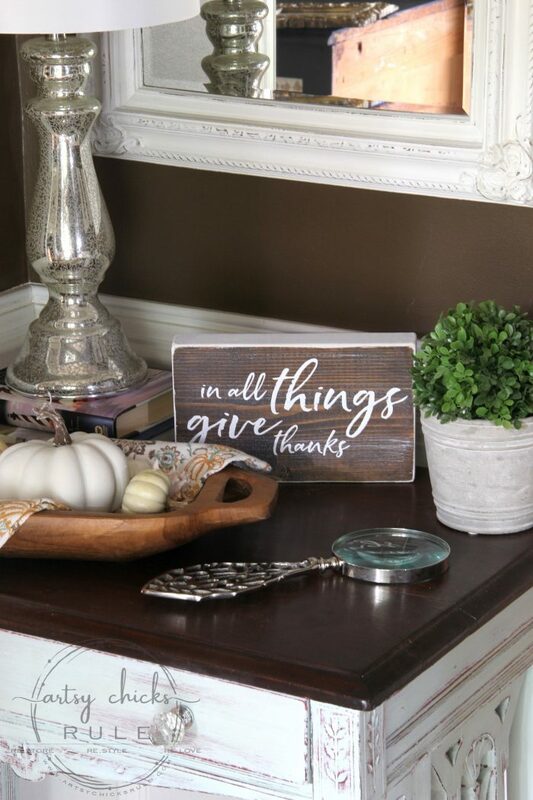 It’s so true, you know, in all things give thanks. 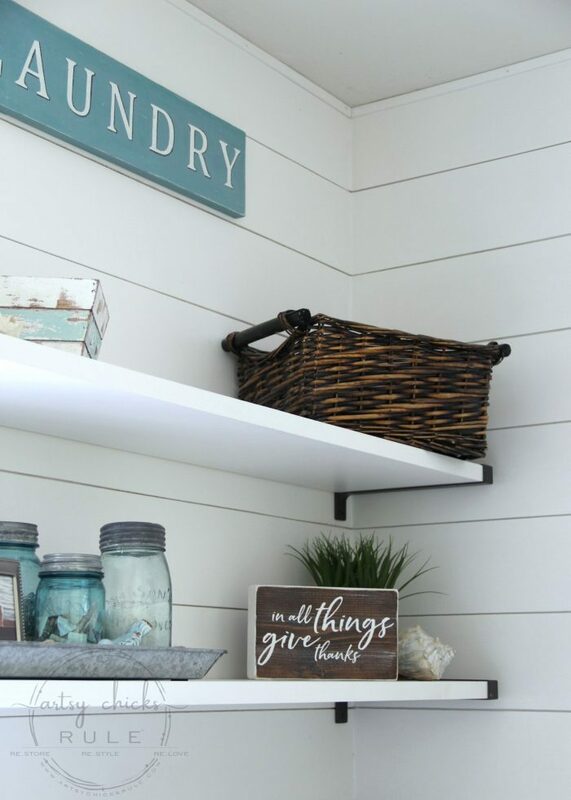 So…do you have scraps hanging out in the garage? Do you hold onto them like I do? If you do, go get em and make something fun for Thanksgiving, too. If you don’t, hop on over to the thrift store. I can almost always find something there to re-do. Or maybe even your local big box store might have some scraps from cutting. 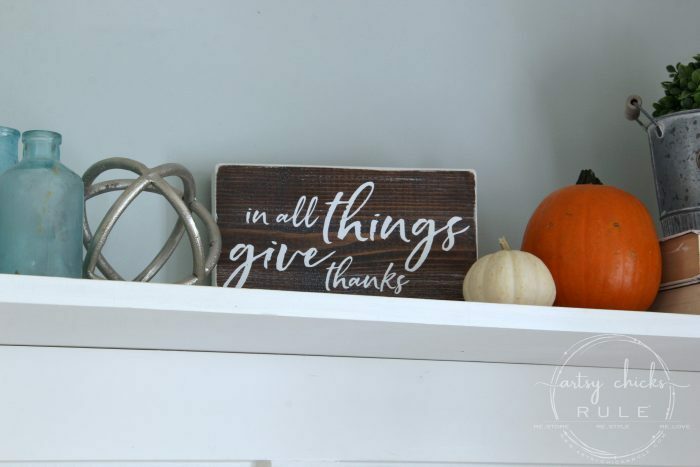 Want to see another “thankful” style sign idea? 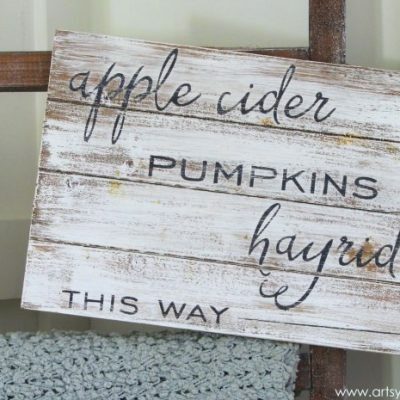 hey girl- love the sign! so cool! 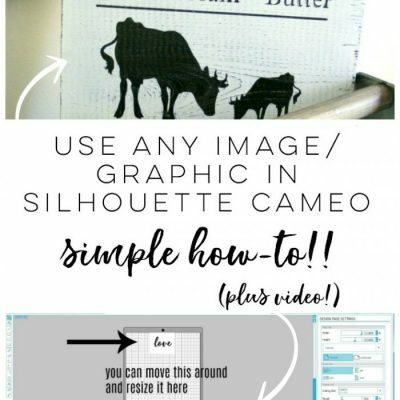 I love this sign and do have a Silhouette Cameo V3 (for about a year now), but sadly don’t use it much because I have so much trouble trying to figure it out. 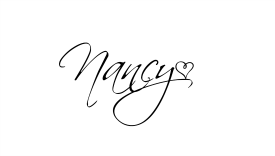 I would love to replicate this font, but don’t know how to do it. Could anyone help me? I am still working on this. I have your file downloaded on the Silhouette, but I can’t get the registration marks to work. I keep getting registration mark sensor error. So frustrating. I gave up yesterday and decided to give it another try today, but no such luck. Hmm, I’m not sure what you mean by registration marks? I’ve never seen that error. Can you send me a screen shot to my email? I am so helpless. I don’t even know how to send a screen shot. I just know that I have tried to print this with and without registration marks and it doesn’t work. I did take a photo with my cell phone, but not sure how to get it to you. (see what I mean?) I’m like a baby bird when it comes to this stuff. I had such high hopes for the Silhouette and have only been able to use it a few times. I’m back! And I swear I won’t continue to bother you, but have just a few questions. I did get rid of the registration marks because I guess I don’t really know what they are for. Still won’t print, so I just want to go over what I’ve done. I downloaded your file and have it so it will fit in the print area. Do I need to do some other step to make it cut out the letters? I really love the placement of your words and the font used, but apparently something is missing. I laughed out loud at your reply! I forgot that you had that sign in your bathroom! LOL! I actually like ‘The Loo’. 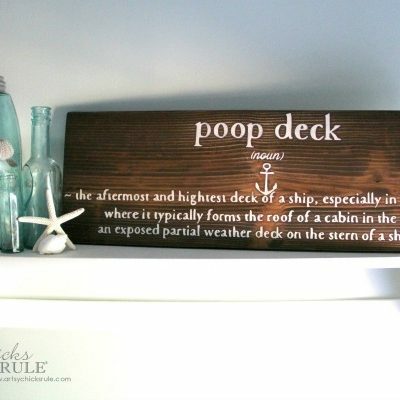 What would a farmhouse be… “The Outhouse”… or “The John”. Oh my! (Oh! The WC or Watercloset!) Have a great weekend! Hugs!